A whirlwind of changes to the way health insurance in the United States is purchased and delivered has more Americans focused on cost and coverage than ever before. Suddenly, major medical insurance isn’t just a nice-to-have: It’s a must, much like auto and homeowners insurance are musts for those of us who drive cars or own homes. Voluntary insurance works hand in hand with major medical plans to help ensure individuals who are sick or hurt have the funds needed to pay health-related costs their primary insurance might not cover, as well as other out-of-pocket costs. 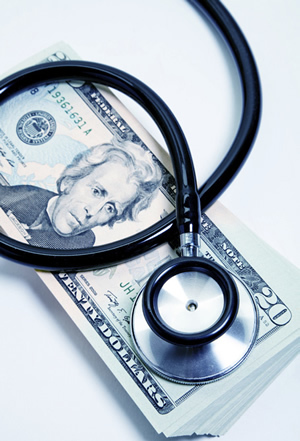 After all, when a medical event occurs, there are deductibles, copayments and treatment costs that may not be covered to consider – not to mention the bills that continue to roll in even if an individual is too ill or injured to work. According to the 2015 Aflac WorkForces Report, 52 percent of today’s workers have less than $1,000 on hand to pay out-of-pocket medical expenses, and 67 percent at least somewhat agree they would not be able to adjust to the financial costs associated with a serious injury or illness. Perhaps that’s why so many are open to voluntary insurance: 70 percent of workers who don’t currently have access to voluntary insurance through their companies say they’d be at least somewhat likely to purchase them if their employers made them available. 1. Voluntary insurance can help provide employees with financial safety nets that keep their minds on their jobs and not on money concerns. That’s especially important given that employees who participated in the 2015 Aflac WorkForces Report said personal financial issues are among the top non-work-related issues that distract them while they’re on the job. 2. Voluntary insurance pays cash benefits workers can use to help pay unexpected health care costs that might not be covered by major medical insurance or to help pay bills that threaten their financial security. 3. Voluntary insurance pays cash benefits regardless of any other insurance coverage employees have in place, including policies available through government health care exchanges. 4. Employees who are offered and enrolled in voluntary insurance policies, report increased job satisfaction and believe they’re more financially prepared to cope with unexpected out-of-pocket medical expenses. A win-win scenario. They can soften the blow of rising out-of-pocket costs for workers and, because premiums are employee-paid. They can be made available at no direct cost to companies. Next Next post: Do You Have a Will In Place for Your Family?